There are thousands of books on success. This is a book on failure. Mastering failure is a vital step in achieving your aims, hopes and dreams. Failure is the ambitious person's constant companion. It can dog you for months, years or even decades before you finally achieve your goal. 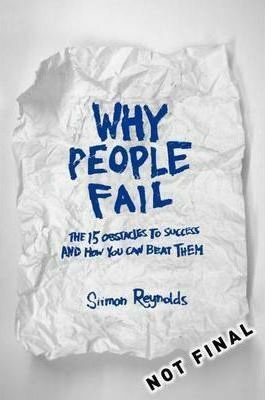 Siimon Reynolds explores the main causes of failure and reveals solutions for overcoming them. Why People Fail offers strategies for beating failure habits such as: unclear purpose; destructive thinking; low productivity; weak energy; not asking the right questions; poor presentation skills; stress; lack of persistence; money obsession. Master just one of the principles in this book and you can increase your wealth, success, contentment and happiness. Master all of them and your life will rocket to a totally new level.